The Patriots got the opportunity to face off against one of the NFL's best defenses with their joint practices against the Texans this week in West Virginia. And while the team as a whole impressed, there were definitely some particular standouts. Watt had a bit more success yesterday while kicking inside, but he never mustered much against Cannon, who kept the Texans’ star out of quarterback Tom Brady’s area code. It’s the latest in a strong string of performances this summer and maybe a sign of yet another leap forward in 2017. As the paper noted, Cannon also managed to combat Watt effectively during the Patriots' matchups against the Texans last year (in Week 3 and the AFC Divisional Round). For a guy who just signed a five-year extension last season and is making just shy of $5 million this year, it's a welcome development. 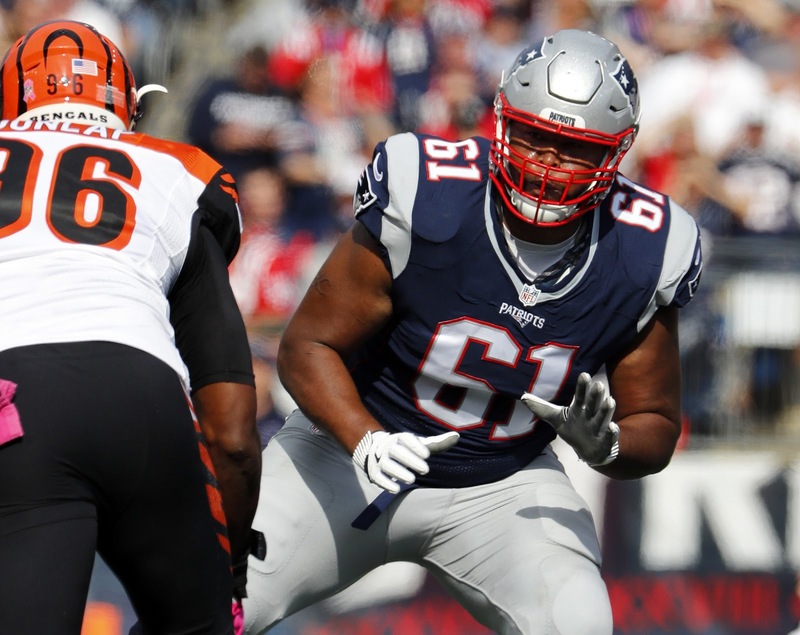 The TCU product made the second-team All-Pro squad last year, and he only looks to be improving as the Pats prepare their title defense. With Sebastian Vollmer's retirement, it's time for Cannon to step into the spotlight as the rock of the Pats O-line. If this week's practices are any indication, he'll be up to the task.